You will love the strength of White Widow Feminized marijuana plants, but it is also among the strongest of all strains out there. If you have some experience with cannabis, it may be something you are ready for. We don’t recommend this as a starting point though or someone who hasn’t used such products previously due to the potency of it. White Widow Feminized cannabis seeds have won a long list of awards, and that speaks volumes about it. You need to make sure you buy White Widow Feminized from a seed bank like us with a good reputation though. If you buy it randomly, you may be disappointed. Due to the demand for these seeds, there are some cheap imitations out there. Not only is the quality poor but they tend to have high prices too. 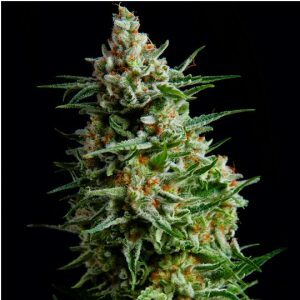 With such a high level of THC, it is hard to pass up the opportunity to grow your own White Widow Feminized marijuana seeds. These are medium height plants and they grow very easily. You may not have grown anything like this before, but you should be able to do it without any problems. You can always reach out to us if you do need any assistance.